blend of oakmoss and sandalwood with tonka bean, cedarwood, lemon and petitgrain for fragrance. INCI Ingredient Label: Water, Coconut Oil, Olive Oil, Safflower Oil, Sodium Hydroxide, Fragrance, Tucuma Butter, Castor Oil, Sodium Lactate, Illite Clay, Rhassoul Clay, Sea Clay. 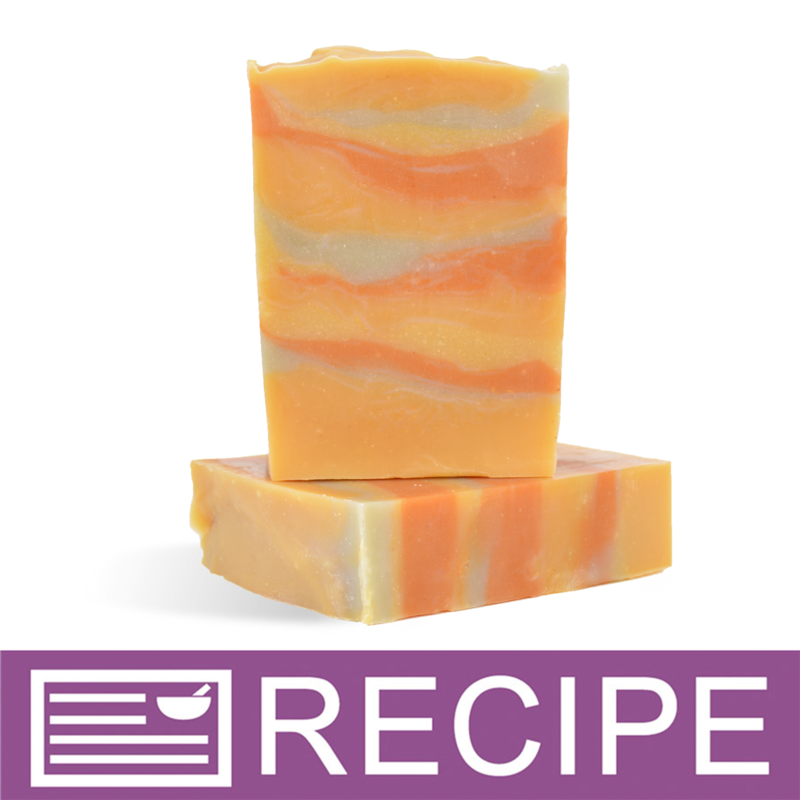 WARNING: This project and these instructions have been written for someone who has experience making soap and knows the potential dangers due to working with sodium hydroxide. It will not outline all safety methods of working with dangerous chemicals, it is simply a soap recipe for advanced soap makers..
Pour the lye into the water. Carefully mix in a well-ventilated area and set aside to cool while you prepare your oils. To measuring cup, add all the oils and butters and melt in the microwave or on stovetop. Set aside. When both the lye mixture and the oils are 120ºF or below, add sodium lactate to the lye water. Mix your fragrance and stabilizer together and allow mixture to sit for at least two minutes before using. Pour the lye mixture into the oils. Stick blend until you reach a thin trace and then add fragrance oil. Using a scale add 5 oz. of batter to the rhassoul, 5 oz. of batter to the sea clay, 10 oz. of batter to the orange clay and 20 oz. of batter to the pumpkin clay. Mix well and bring each color to a thick trace. Begin pouring or spooning the soap in different layers. There is no precise way to do this! Repeat the colors in any pattern or thickness. You can vary the design more by placing the soap mold flat or at different angles while you are pouring. Tap the mold on the counter to release any air bubbles when you are done. 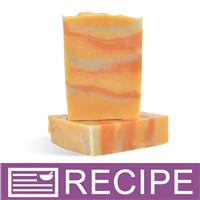 Allow soap to set for 24 hours or longer until soap is firm enough to unmold. Unmold and slice. Let soap cure 4-6 weeks. To Use: Lather with water onto the skin. Rinse off. Avoid contact with eyes.